The market is keenly following the meteorogical updates to gauge whether 2012 will be another El Niño year or not. Prices have risen steadily though the year. This reflects both lower catches and meal production in South America but increasingly also the rising probability of a new El Niño during late 2012. Quotations on alternative meal sources such as soybean and rapeseed have also risen to unprecedented levels. First quarter fishmeal production was up on 2011 by 21%. The major change was for Iceland where production jumped from 49 000 to 115 000 tonnes thanks to higher landings. However, as the season progressed, volumes fell and when looking at January-June figures for the IFFO membership, meal production volumes fell from 1.6 million tonnes in 2011 (six months) to 1.1 million tonnes during the same period this year. The reason, of course, lies in much reduced access to raw material with processed catch volumes falling from 7.4 million tonnes during 2011 (six months) to 5.1 million tonnes this year. Reduced quotas and catches in Peru and Chile are the main cause of the decline. In Peru, catches by July were 2 990 000 tonnes compared with 4 740 000 tonnes last year, a decline of 37%. The figures look better however when compared with catches from October 2011 onwards: 5 170 000 tonnes compared with 5 125 000 tonnes in the previous period. Most of the catches take place in the Northern and Central Zone with 2 505 000 tonnes of the 2.7 million tonne quota landed through July. The new quota for August-December is 307 000 tonnes. Increased interest from Chinese buyers lifted Peruvian shipments during the first three months of the year. But demand was not only limited to the Chinese market as most buyers were keen to secure supplies in a period of increasing uncertainty of supplies for the 2012/13 period and with rising prices as a result. Consequently, Peru’s shipments to Germany, Japan, Taiwan Province of China and Viet Nam all ended higher compared with the same period in 2011. In Chile, catches in the Northern zone by July were at 489 000 tonnes, down from 935 000 tonnes last year. Catches are mostly of anchovies. Southern zone catches reached 979 000 tonnes compared with 1 115 000 tonnes last year. Chile’s exporters saw shipments fall back by 60% during the first quarter. Lower landings and meal production were the main causes. As reflected in Peru’s export statistics for the first quarter, China has resumed its purchases of meal from South America, up 102% compared with the same quarter in 2011. The principal import market in Europe showed strong growth in imports during the first quarter with shipments from Peru in particular up significantly, +150%. At the same time, Morocco, who shipped large volumes to Germany during 2010 and 2011, curtailed exports considerably to this market during the period. UK imports fell for the third year in a row, both on a quarterly and full year basis. US imports jumped 40% during the first quarter compared with 2011, although the overall volumes are not large. As for fishmeal, reduced quotas and catches in South America and the increasing likelihood of another El Niño are driving prices higher. Despite some increased output during the first quarter, IFFO members reported a 25% decline in oil production during the first semester, from 700 000 tonnes during 2011 to 528 000 tonnes this year. As for meal, Iceland increased its production of oil whereas all other producing countries saw production volumes fall, in particular Peru, Denmark and Norway. Reduced landings in Peru and Chile have led meal prices to increase this year. With the possibility of further shortages attributable to a possible El Niño, prices can be expected to rise further. This is reinforced by substantially higher quotations on alternative meal sources such as soybean and rapeseed. Meanwhile, the continued growth in salmonid production in both Europe and the Americas will continue to increase demand for fish oil, despite innovative feed compositions that include workable substitutes. 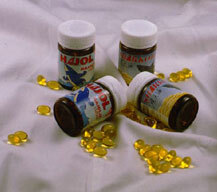 At the same time, the omega 3 market in which fish oil is used as a health supplement is now taking an increasing share of the total fish oil supply. This trend will continue and the industry is also able to cater to this market.